How Far Would You Go For A Freebie With Think Laser Clinic ? BlogHome » How Far Would You Go For A Freebie? 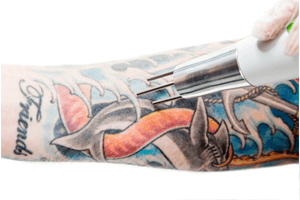 As the tattoo industry booms throughout the world, there are businesses ready to capitalise on those willing to exchange a spot on their skin in return for monetary gain. Anthony Lolli, founder of Rapid Reality in the US adopted a marketing strategy like no other. The business owner offered his employees the incentive of an additional 15% pay rise in exchange for the company logo to be tattooed on their body. It may sound bizarre but 40 employees took him up on his offer, taking “company loyalty” to a whole new level. IBIS World industry analysis shows the Australian tattoo studio industry alone is earning $97million in revenue with a projected annual growth of 3.9%. The largely accepting nation of body art and displays of individuality is the pinnacle of today’s young society. Changing from what may have been considered subculture to very much mainstream. Anytime Fitness are another corporation to adopt the idea of free body art. 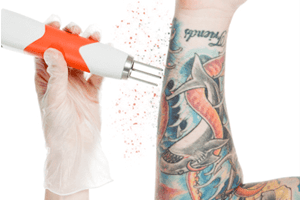 After successfully launching in the US, Australian chains now offer staff, franchise owners and customers a free tattoo of the company “running man” logo. 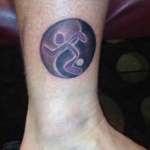 The Anytime Fitness Australia co-founder says that 200-300 people now have the logo tattooed on them in Australia. 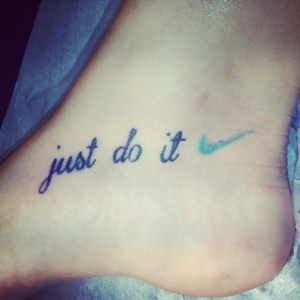 In exchange for the ink, the company believes it provides the customer with not only loyalty but also a sense of emotional commitment to the brand. Tough Mudder, a team-oriented obstacle course is now a global success. The Brooklyn company has grown to a $70million dollar company with over 1.5mil participants in two years. Even more impressive statistics is the 4000+ people who are now a walking billboard for the company. 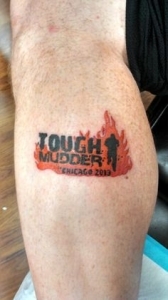 Tough Mudder offers all participants the ability to have the Tough Mudder logo tattooed on their body in exchange for a free $185 ticket into the next event.People are looking forward to tattoo removal because of various medical issues related with tattooing. For those enthusiastic participants, Think Again Laser Clinic has some words of advice before you hit up your local tattoo shop in preparation for the big day. If the time comes after the race where you no longer want to be a walking advertisement, visit our clinic within 3-4 weeks of having the tattoo done. Provided the above was followed, your removal process should be complete in only a few short sessions. SPECIAL OFFER: Visit our Rozelle clinic with your logo tattoo to be removed and score 50% off the price of your first treatment! 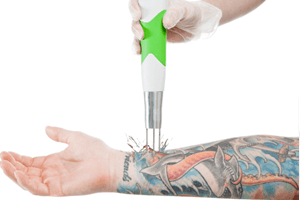 At Think Again Laser Clinic Sydney, we are tattoo removal specialists with laser tattoo removal being the only procedure we perform at the clinic. We understand the desire for a display of body art and we also understand the desire to update and keep each artwork current to suite your personality.Visit us for a free consultation to discuss complete or partial removal of your unwanted tattoo! 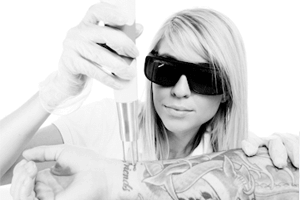 Click here to know more in detail about The 3R’s in Tattoo Removal?